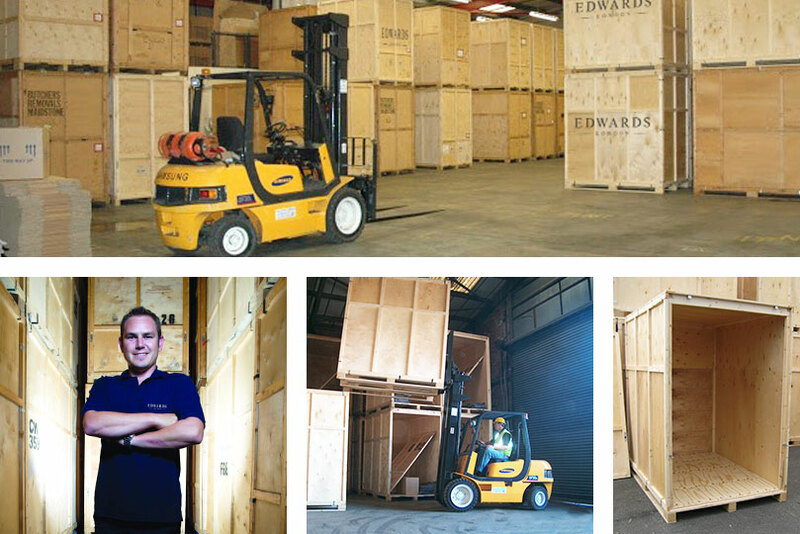 Here at Edwards Removals, our secure storage facilities are the perfect solution if you need a temporary home for your possessions – whether long term or short term. We offer both domestic and commercial storage options and our dedicated team of removals and storage experts can assist you in tailoring a solution for your individual requirements. We can take care of every aspect of the removal and storage process, including packing and loading, and all the containers we use are secured with numbered seals. We also create an inventory of what is in each container for your complete convenience. Our comprehensive service includes secure facilities for high value storage and car storage, and we even offer furniture restoration for items within our care. Our warehouse is dry, clean, secure and fully protected by an advanced Redcare alarm system, granting you complete peace of mind that your possessions are in the safest hands. Simply contact the removals experts at Edwards Removals today for more information on our fantastic storage options. Our warehouse is dry, clean, secure and fully protected by an advanced Redcare alarm system.